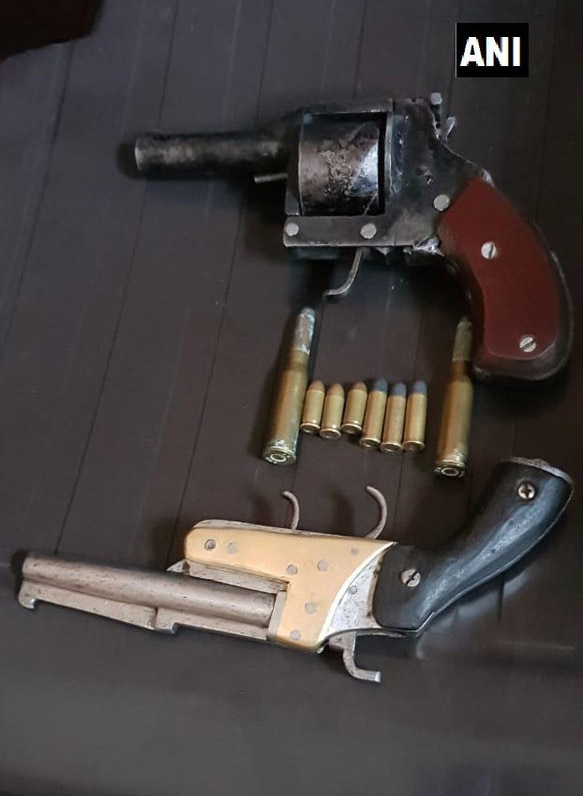 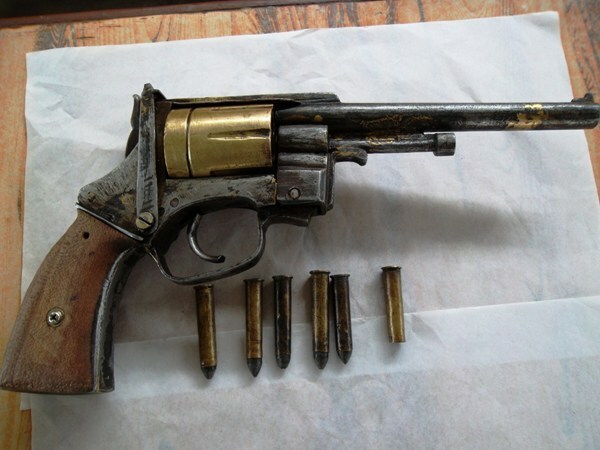 A handmade revolver and improvised ammunition seized by police in Nepal. 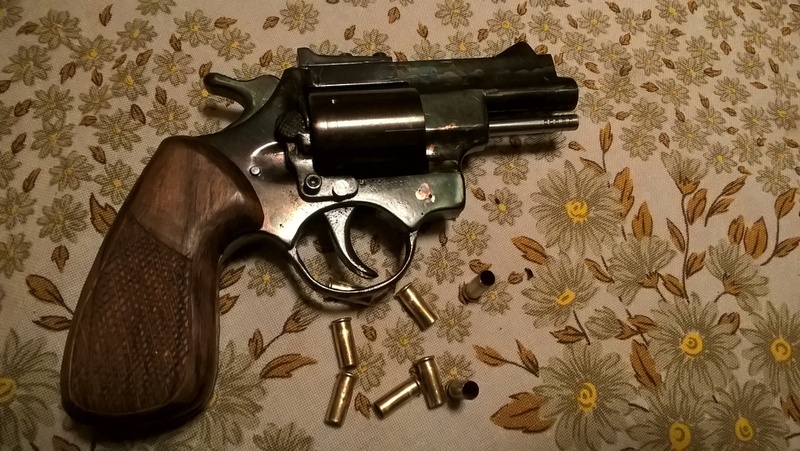 This entry was posted in Revolvers and tagged DIY, firearms, homebuilt guns, homemade firearms, homemade gun, homemade guns, homemade revolver, Nepal on July 8, 2018 by ImproGuns. 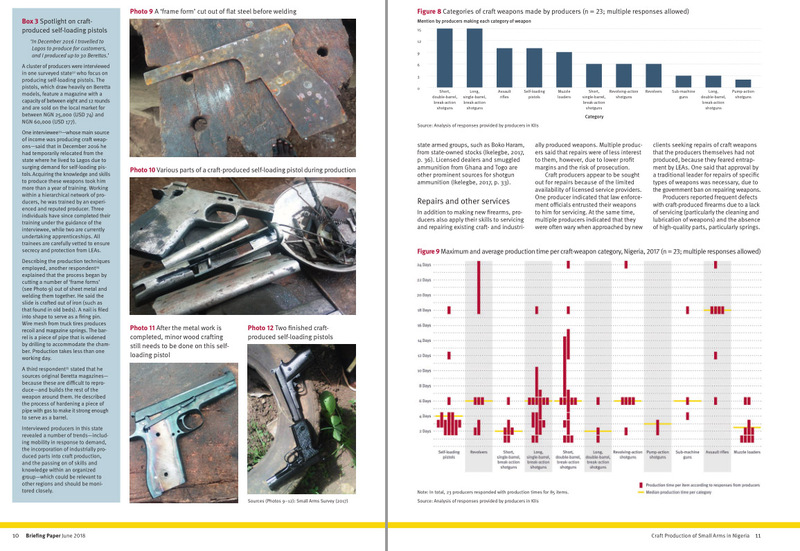 Small Arms Survey have released a new paper documenting the widespread illegal production of improvised / craft-made firearms across Nigeria. 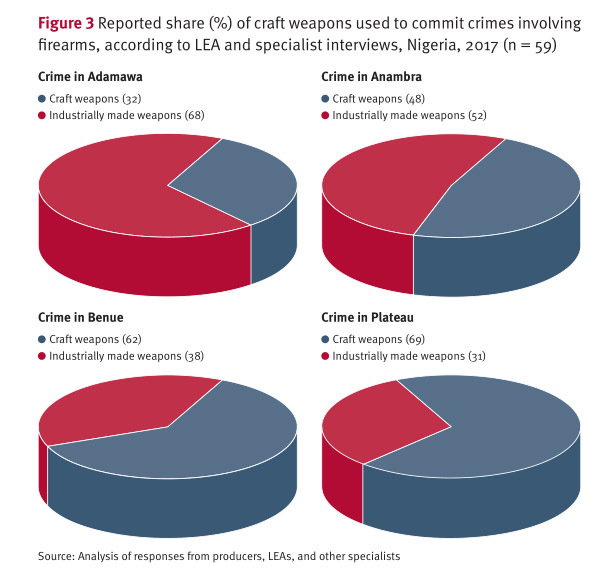 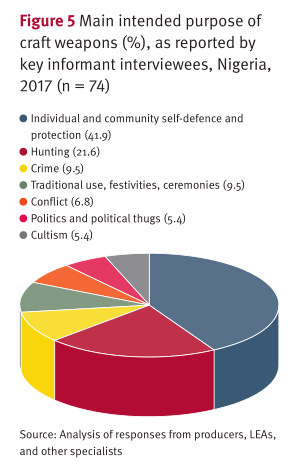 The study found that these weapons account for around 32 per cent of firearms-related crime in Adamawa state to a staggering 69 per cent in Plateau state. 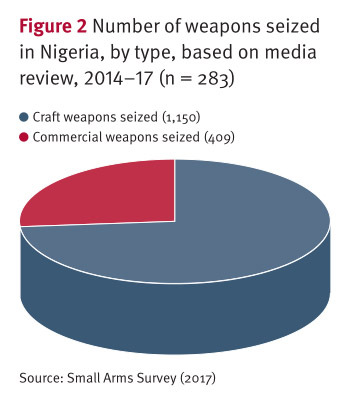 Along with exploding crime rates, the demand for firearms to equip community defense groups increased drastically following the Boko Haram insurgency with many having to resort to equipping themselves with locally produced weapons such as ‘dane guns’ (Locally hand-made muzzleloading percussion-lock long-guns) and break barrel shotgun copies long used by traditional hunting and tribal groups. 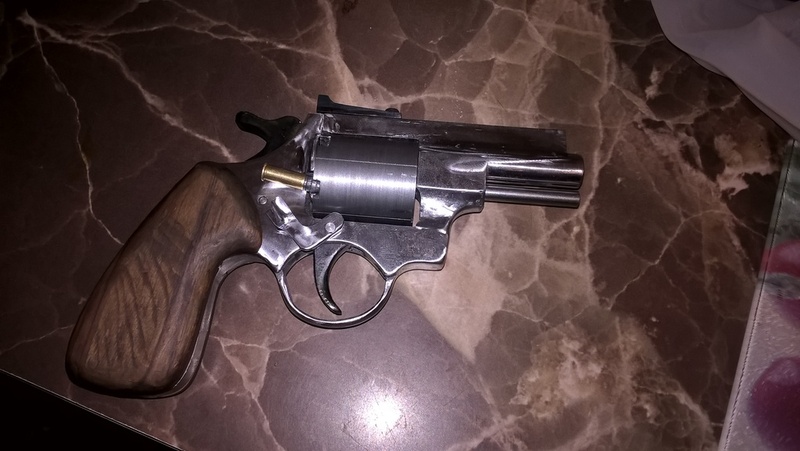 More recently illicit gunsmiths have progressed to producing more sophisticated weapons including submachine guns and self-loading pistols utilizing simple sheet metal fabrication methods. 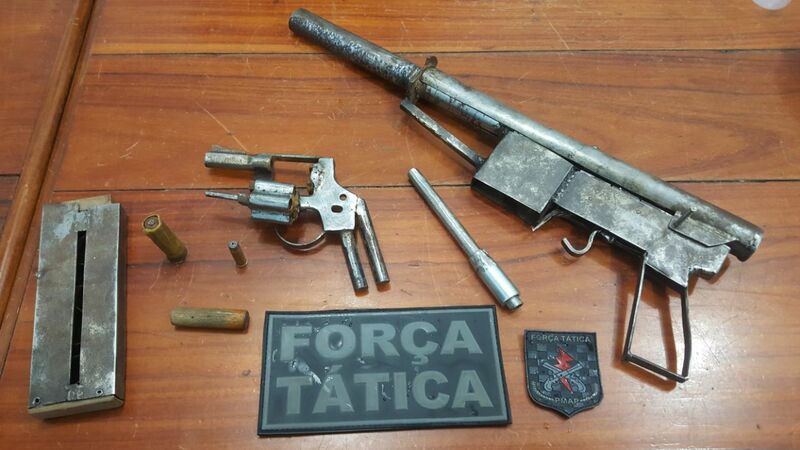 Like swords and bows & arrows, firearms are simple devices dating back 800 years which can be produced by anyone and aren’t going to ever go away. 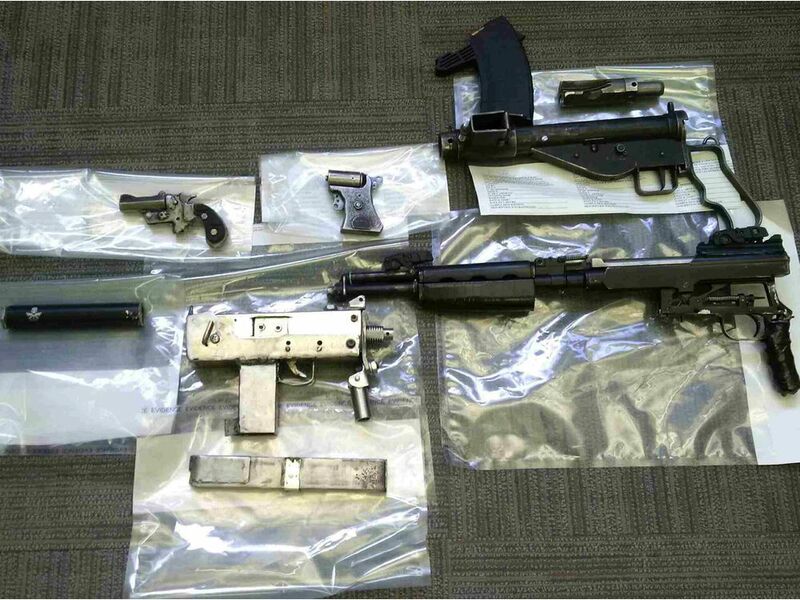 This entry was posted in Muzzleloaders, Revolvers, Revolving shotguns, Rifles, Semi auto pistols, Shotguns, Single-shot pistols, Submachine guns, Zip guns and improvised firearms and tagged Boko Haram, Dane guns, DIY, firearms, gun control, guns, homebuilt guns, homemade gun, homemade SMG, homemade submachine guns, homemade weapons, Nigeria, Not 3D printed, Small Arms Survey on June 17, 2018 by ImproGuns. 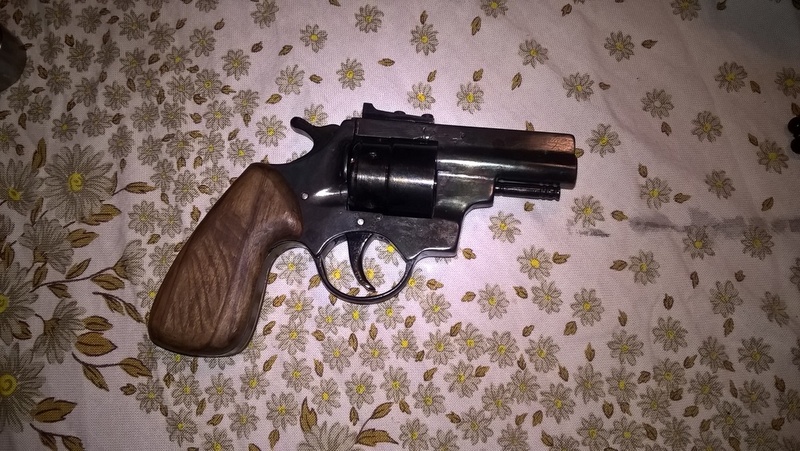 This entry was posted in Revolvers, Single-shot pistols and tagged Desi Katta, DIY, firearms, gun control, guns, homebuilt guns, homebuilt revolver, homemade pistols, homemade revolvers, improvised firearms, katta, Punjab, tamancha on June 3, 2018 by ImproGuns. 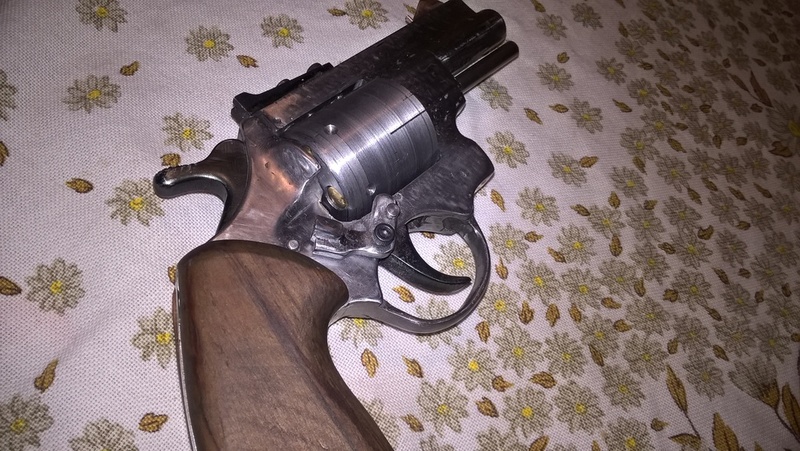 This entry was posted in Revolvers, Shotguns and tagged Brazil, DIY, firearms, guns, homebuilt guns, homemade firearms, homemade gun, homemade guns, homemade shotgun, illegal firearms, improvised weapons on May 13, 2018 by ImproGuns. 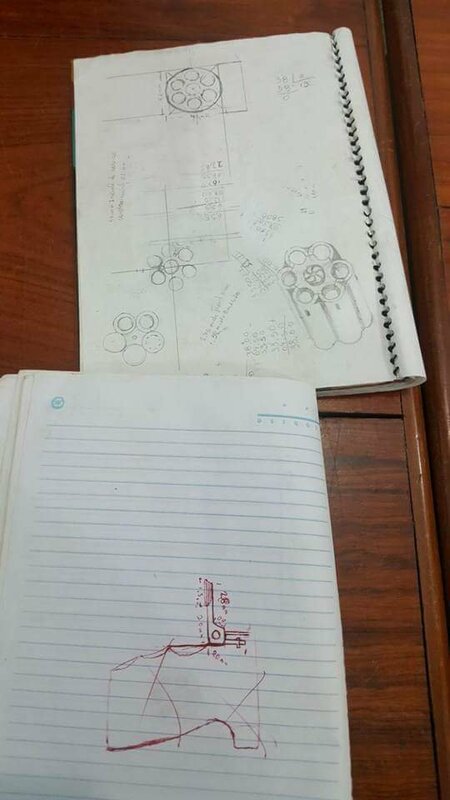 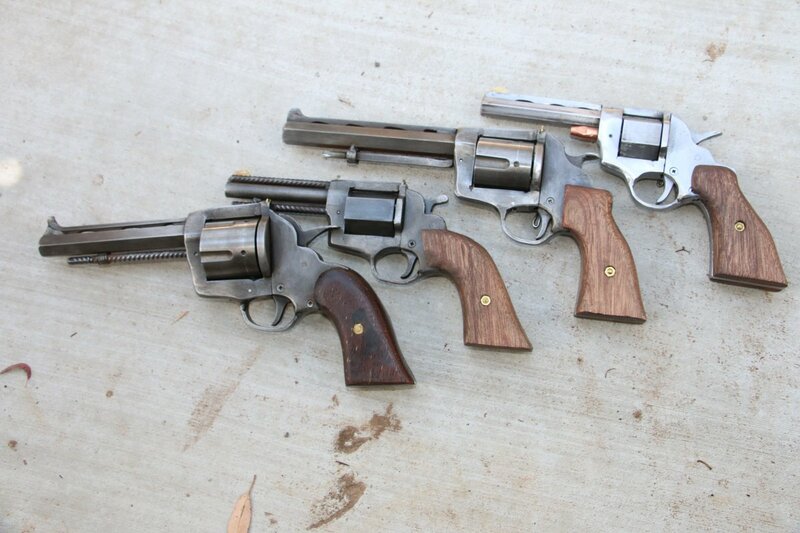 Here are photos sent in of a pair of homemade revolvers built from the Professor Parabellum DIY .22 Revolver plans. 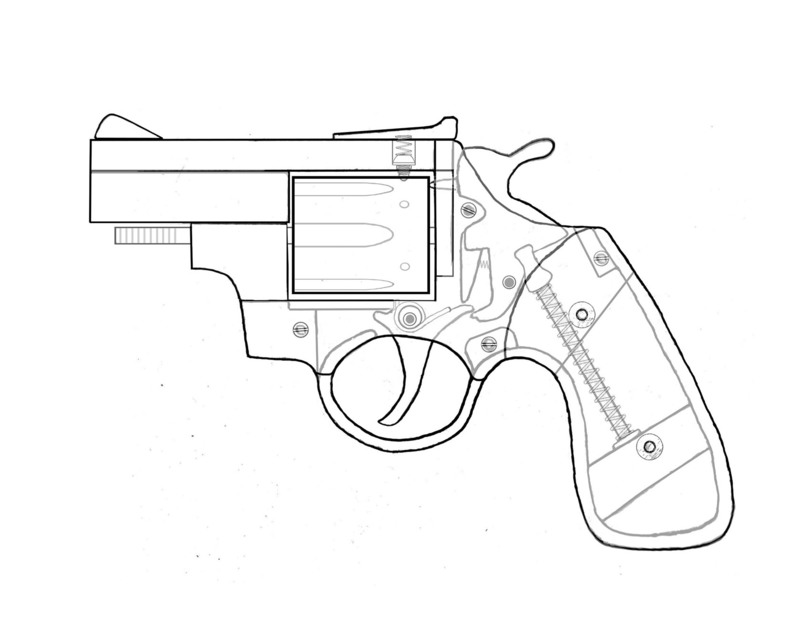 The version below is chambered in .22lr. 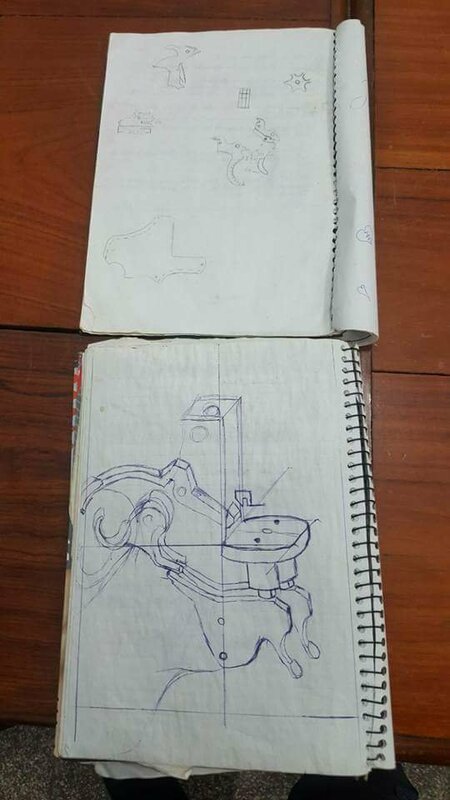 A flip down side loading gate was added to the design as an improvement. 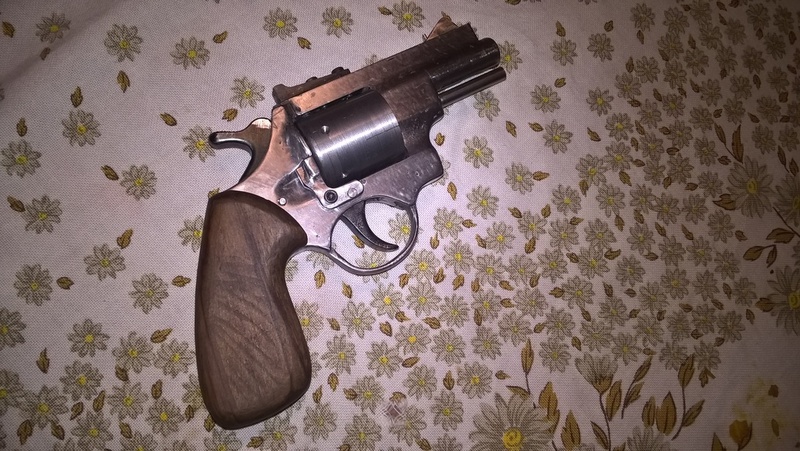 .22lr cylinder (left) and percussion cylinder (right). 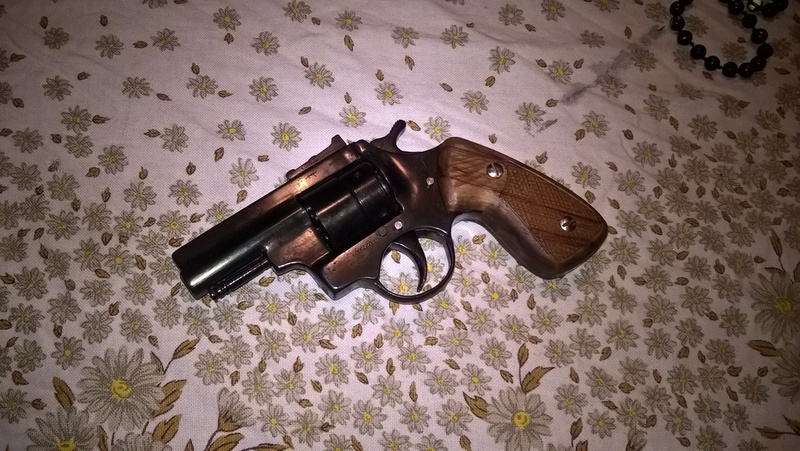 The second gun is a ‘cap & ball’ version of the first which is chambered in .25. 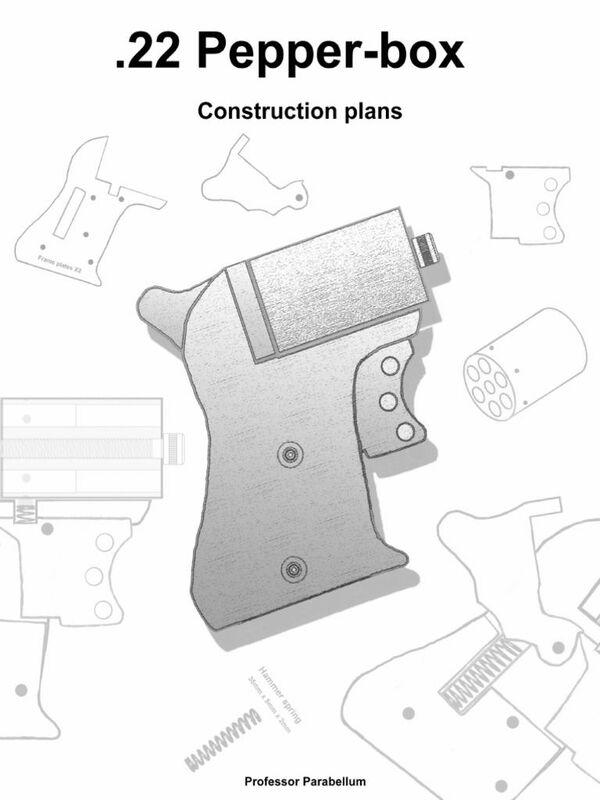 It was built as an exercise in demonstrating that a viable firearm can be produced without relying on any firearm components. 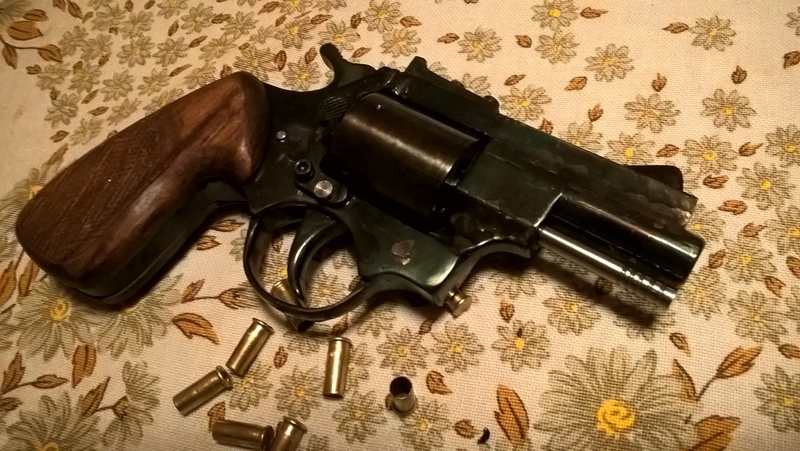 Staying with the makeshift theme, plastic toy caps are used in place of regular percussion caps in combination with homemade gunpowder. 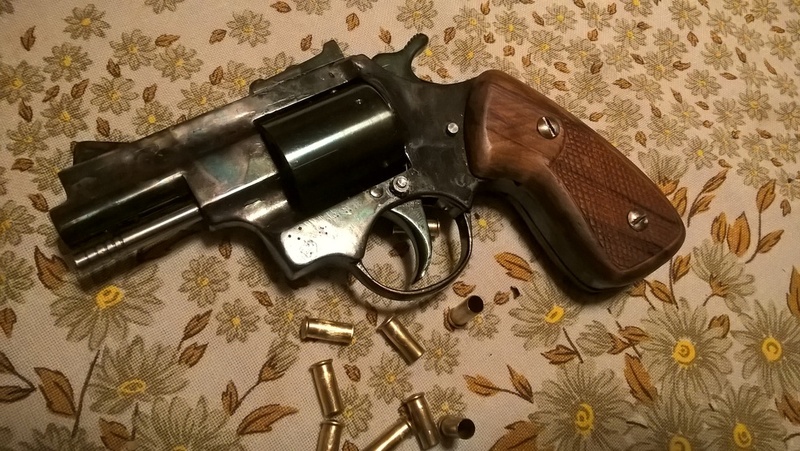 Apparently this version shot accurately despite being smoothbore. 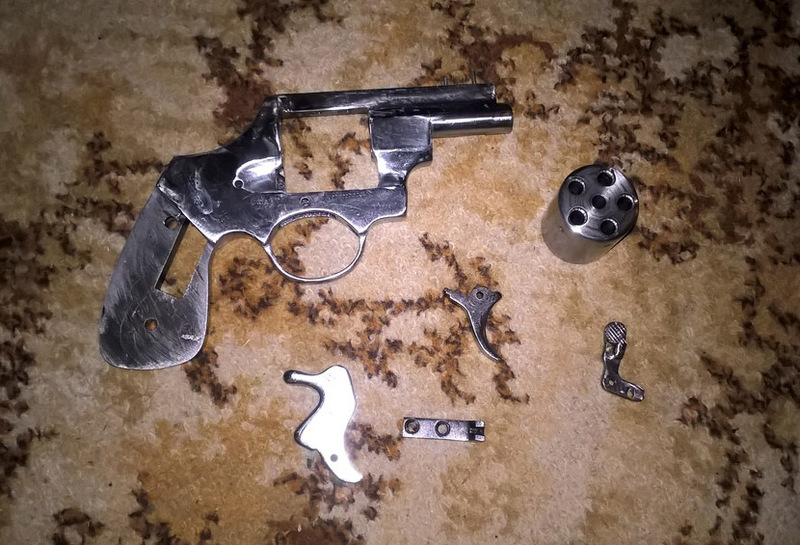 This entry was posted in Revolvers and tagged building a revolver, DIY revolver, firearms, Ghost Gun, Ghost Guns, gun control, gunsmithing, homebuilt guns, homemade gun, homemade guns, homemade pistols, homemade revolver, Not 3D printed, Professor Parabellum, revolver build on February 15, 2018 by ImproGuns.